This morning it finally rained! 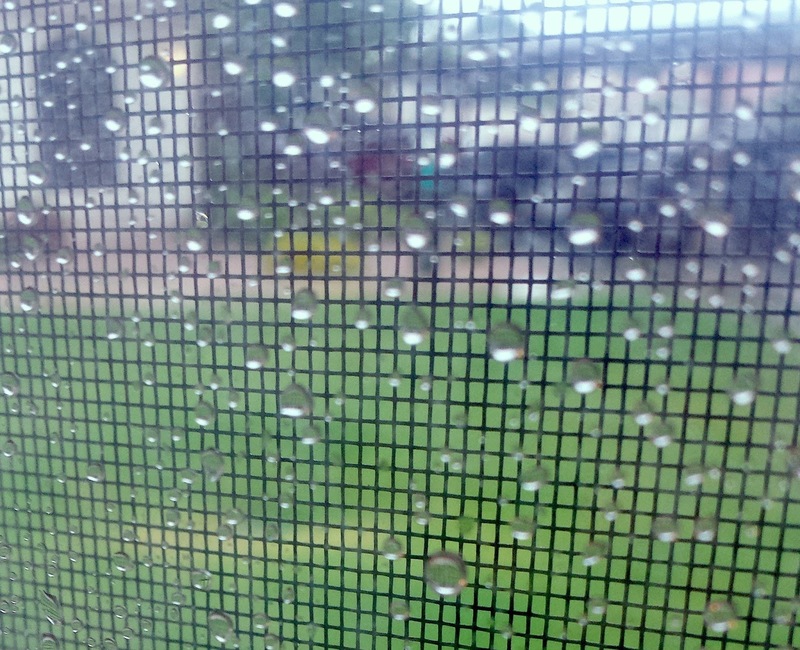 We've had plenty of thunderstorms since we got here a month ago, but this was the first good long soaking rain. Like the kind you get in Boston--an all day rain event. I always missed western thunderstorms when I was out east. Growing up in Colorado, we had short thunder and rain storms almost every afternoon. 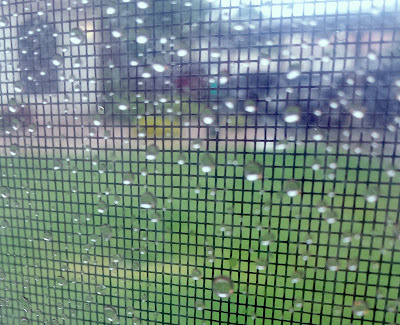 Not long, maybe even just ten minutes of actual rain, but usually some good thunder and lightning. It was a rude awakening when I realized (almost immediately upon arriving my freshman year) that in Boston, if it is going to rain, it is going to rain ALL DAY. Rain boots are a necessity, umbrellas are futile in the urban wind tunnels, and there will be no thunder and lightning to thrill you. Just the plodding grey rain. For days. Forever. I went to a drive in movie once way out on the plains of eastern Colorado. I remember seeing a thunderstorm out in the distance, miles away on the horizon. I could see the dark line of clouds rolling closer, and the bolts of lightning reaching down like tree limbs. Storms like that can bring a lot of trouble to the plains, but they are certainly a sight to behold. 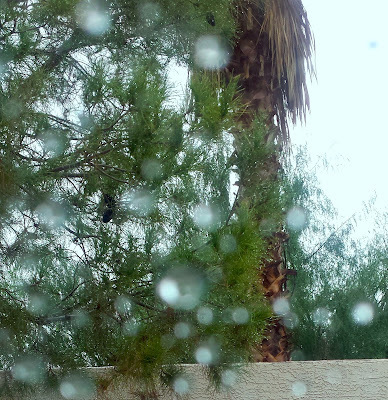 This morning's storm was a welcome reprieve from the summer heat. It has been heart wrenching already, hearing of the perfect fall days in Boston, thinking of everyone pulling on long sleeve shirts, the students at Harvard hurrying in boots and scarves through brick gates, the leaves starting to slowly change, everyone baking fresh apple pies. Fall here wont begin until late October or maybe November, and I'm sure the cacti will evoke different feelings in me than pumpkins and crunchy leaves. But this morning at least there was something. There was a steady rain, and a warm latte, and football and waffles and friends gathered together. Today, that will be Fall enough for me, and in the true spirit of the fall season, I am thankful.